“Stop flirting.” She pointed a finger at him. “Am I flirting?” he asked innocently. Even after all the years that had passed, Finn still seemed able to get her mind off things. When her mom was going through chemo and everything was doom and gloom at home, Finn could somehow figure out ways not just to make her laugh, but to do so in a way that didn’t make her feel guilty for feeling a moment of happiness. “I…” Whatever she was going to say died on her lips, because the way he was looking at her made her forget her words. There was want in those green depths—lust—but there was something else. Something that made her breath stall. Need mixed with something more dangerous. A wildness. 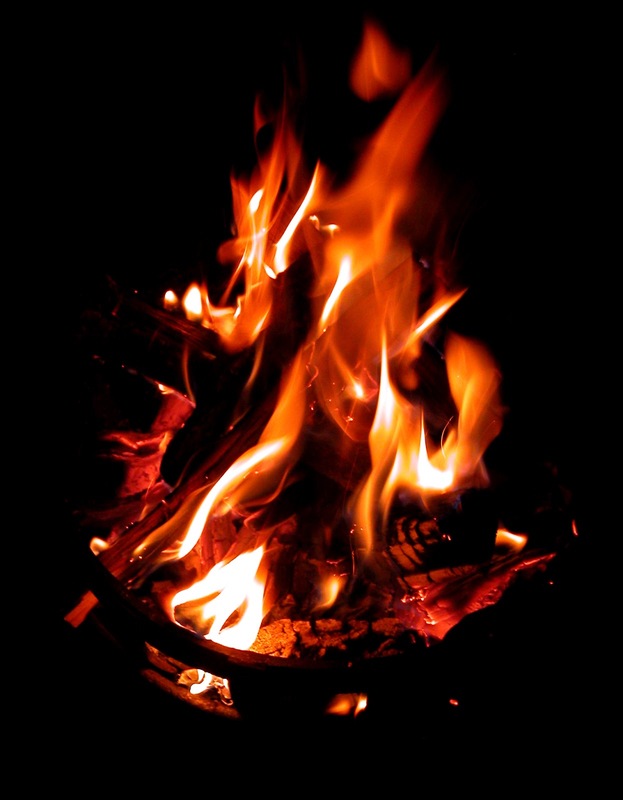 A curl of heat went up her spine, twining with unease. So much of her wanted to give in to it, to see what exactly was simmering between them. Just grab him and say to hell with it all and make the sheets even sweatier than they already were. But as much as he was drawing her in with that look, he was also warning her off. She didn’t know how she got that sense, but it was there, loud and clear. Push me away. Run. He wanted her to stop this. He’d told her outside what he had to offer—nothing but a one-night stand. And though right now that sounded all kinds of enticing, she wasn’t going to go there. He didn’t want this. Plus, even sober, it would be too close to how she’d handled her anxiety in college. She didn’t need to chase away her nightmare with a hookup she’d regret in the morning. She wasn’t that girl anymore. “Finn.” The word was strained. He stared at her for a moment, and then his grip on her arm softened. His breath tickled her hair. 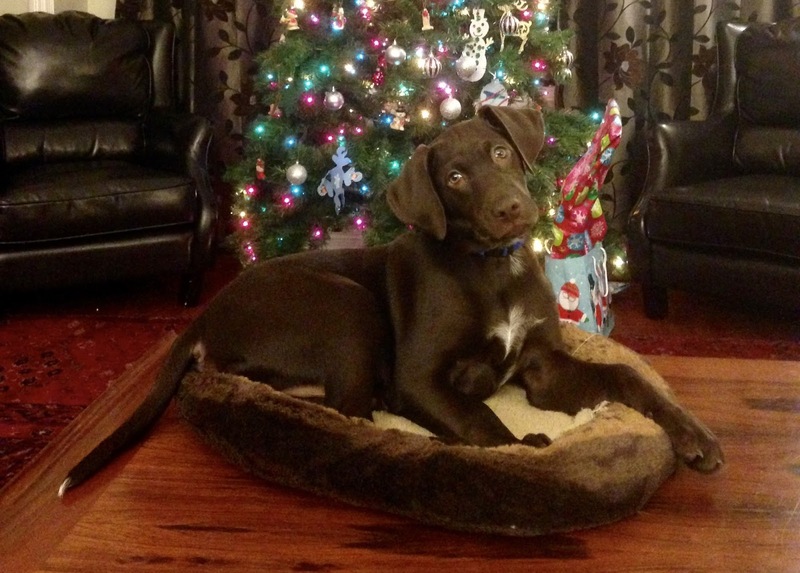 COLLISION COURSE by Marie Harte: Spotlight & #Giveaway! 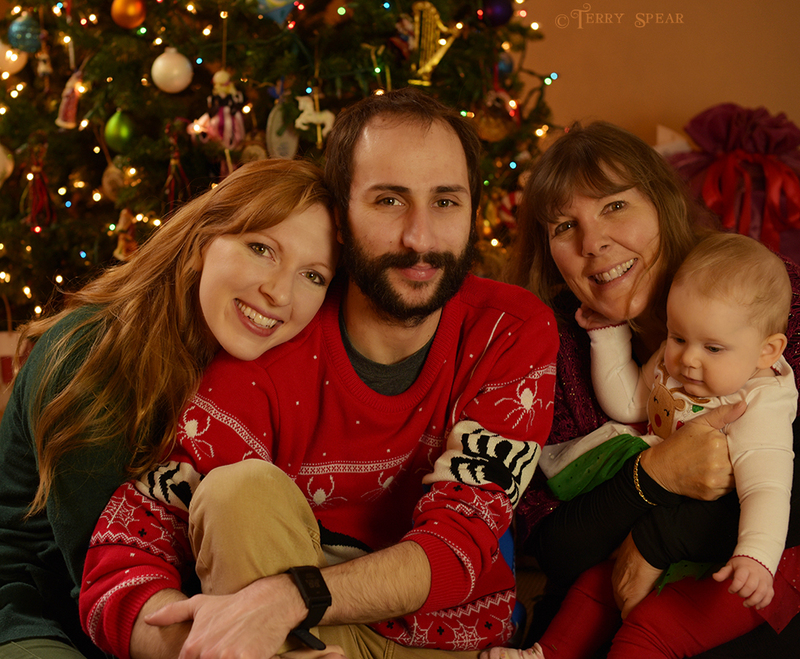 Merry Christmas and Happy Holidays. 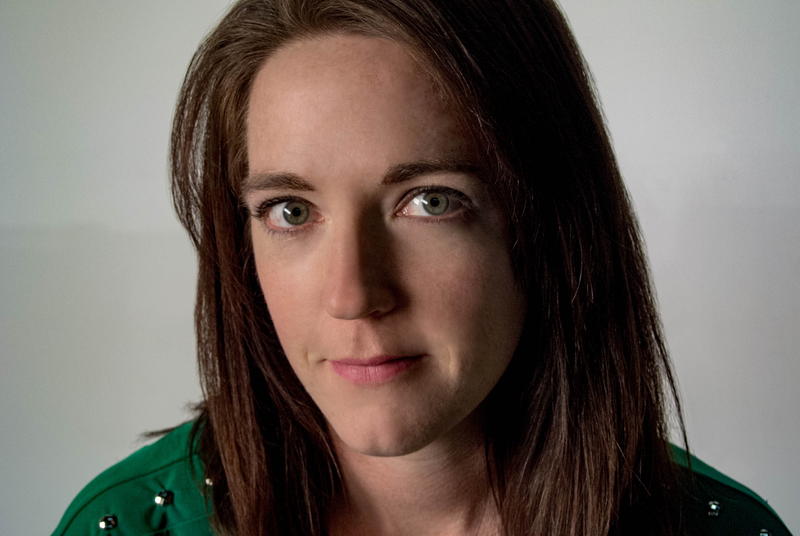 Enter to win a Marie Harte prize pack! Determined to start over again, she dug into her orders and updated delivery times, getting in touch with their new delivery guy, a cute twenty-year old who’d no doubt soon be rolling in tips. She glanced up from the counter and froze. “You work here?” A large grin creased a face she’d tried hard to forget. The man who’d been haunting her sleep, who’d dogged her through a wedding and sizzled her already frazzled nerves, looked even better in the hard light of day. The look he shot her had her ovaries doing somersaults and her brain shutting clean off. The first time she’d seen him had been on a visit to her first wedding client ever, and she’d been floored. The guys who worked at Webster’s Garage all looked larger than life, covered in tattoos, muscles, and that indefinable sense of danger they wore like a second skin. But it had been this guy, the tall, Latin lover with dark brown eyes and lips made for kissing, who had snared her. 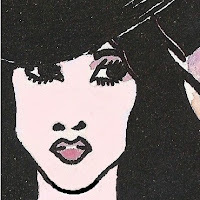 He had a way of raising one brow in question or command that turned her entire body into his personal cheering section. “I remember.” He’d only introduced himself once, months ago in the garage while she’d been going over flower choices with his boss. But Joey had never forgotten those broad shoulders, chiseled chin, or bright white smile. Talk about too handsome for her own good. She’d kept her distance, or at least tried to. She’d been invited to the wedding, having become friends with the bride. Of course, all the woman’s employees had been invited as well. Joey had done her best to steer clear of the man women seemed to drool over. Talk about trouble she didn’t need. She realized he’d stopped looking through the binder and stared straight at her. More like through her. Wow. How did he do that? Bring so much concentration and intensity she felt as if his gaze reached out and wrapped around her, holding her still? And why, when confronted with all that masculinity, did she want to stammer and obey any darn thing he said? She had to force herself to be strong, to speak. But she just stared, mute, at so much male prettiness. His smile deepened. “And your name would be…?” God, a dimple appeared on his left cheek. “You don’t look like a Joey,” he murmured. A loaded question, because his slow grin widened as he looked her over. I don't know about you, but I'm pretty excited about 2018. I have two books coming from Sourcebooks--one in March and one in July. 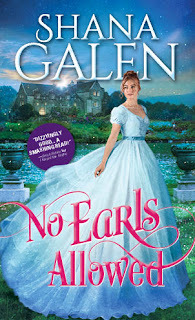 No Earls Allowed will be out in March and if you're a reviewer of blogger, you can now request it on NetGalley. Here's the lovely cover! 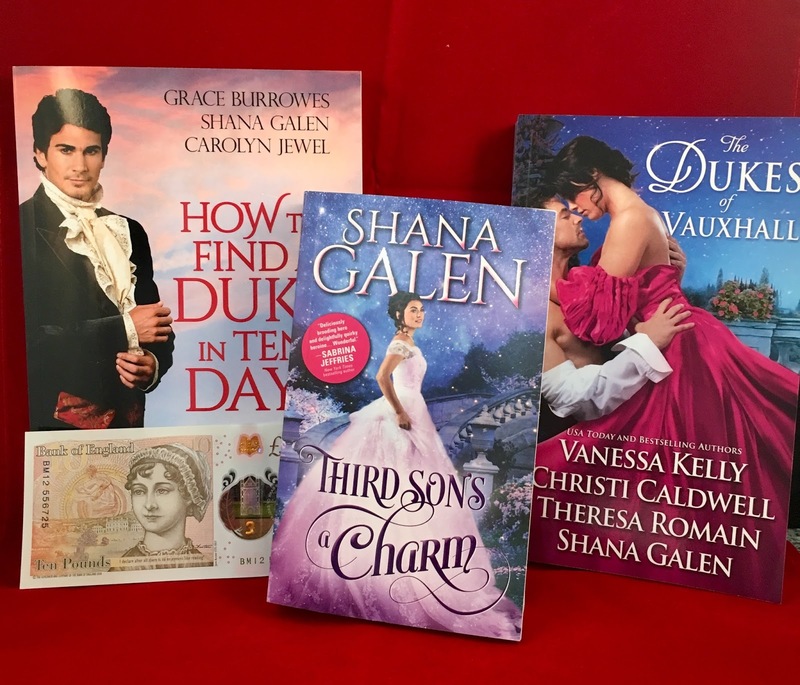 Have you read Third Son's a Charm? That's the first in the series. You can win it on my website, along with these other books of mine. Enter HERE. And join my mailing list to keep up with all my news, plus get a free short story. Have a happy, happy new year!! Psychologists have discovered that if you receive a gift it makes you happy. If you give a gift, it makes you happier. As someone who has suffered from occasional bouts of depression, I can tell you that sometimes the only way to break out of it is to do or give something nice. That may not surprise you. It feels good to give. Is there such a thing as too much giving? I think there is... When it's painful instead of pleasurable. Some people ruin their holidays by rushing around, doing too much for too many. So what if you can't find the perfect gift for Uncle Ed? He'll survive. In fact, he'd probably rather you not go into debt or get into an accident driving around in an ice storm for his present. This year, instead of Christmas cards I sent the money I would have spent on the cards and postage to one of my pet charities. The Arbor Day Foundation. Because of the many recent wild fires, a lot of reforestation will need to take place. Now, if only I could smack the people who don't crush out their cigarettes, or leave a campfire unattended, I'd feel even better. (evil grin.) Sorry--sometimes a well placed snarky remark makes me feel better too. That's why I always have a character who can get away with those quips in my books. Either they're someone who can't be touched--like a ghost, or someone with a lot of power and confidence, or someone who just doesn't care what people think. It's refreshing to have a character who can say what the rest of us are thinking. So, if you like snarky humor, I guess my books are for you! 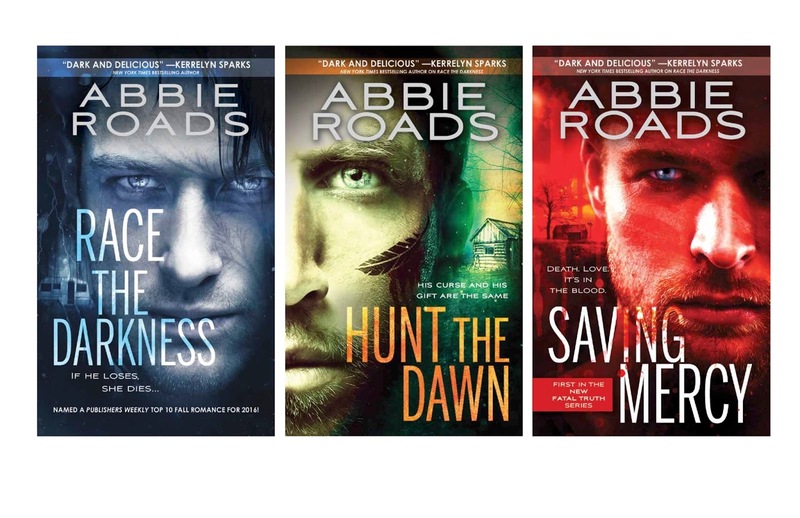 I'm delighted to let everyone know that Sourcebooks contracted another spin-off series, and it begins this March! 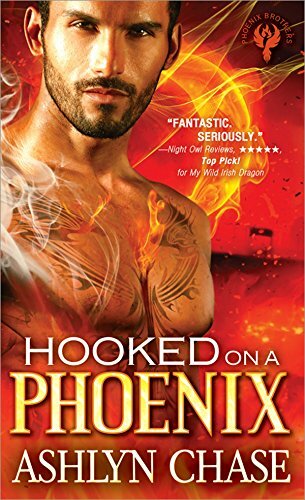 Hooked on a Phoenix is ready for preorders on Amazon, Barnes and Noble, etc. 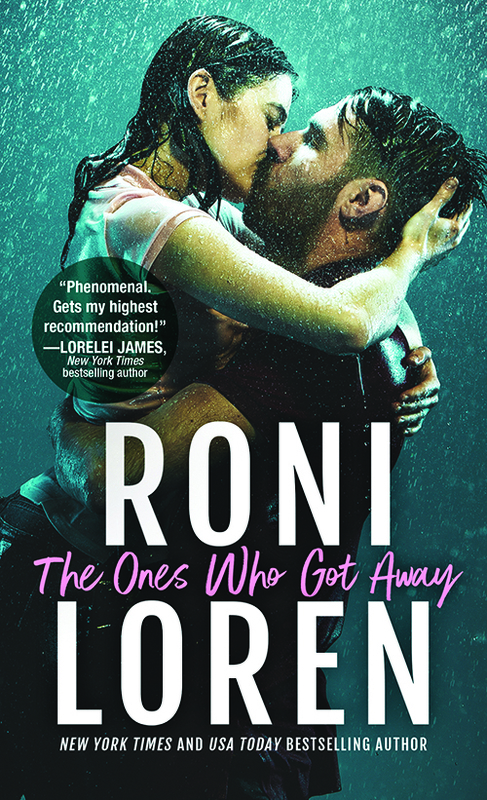 And--as always the gorgeous cover is a terrific gift to me! "This story has it all, laughter, tears, magic and sizzling heat. "—Night Owl Reviews, 5 Stars, Top Pick! Did you give to any charities this Christmas? Or maybe you did something special for someone? Tell us about it! Make us all feel good. 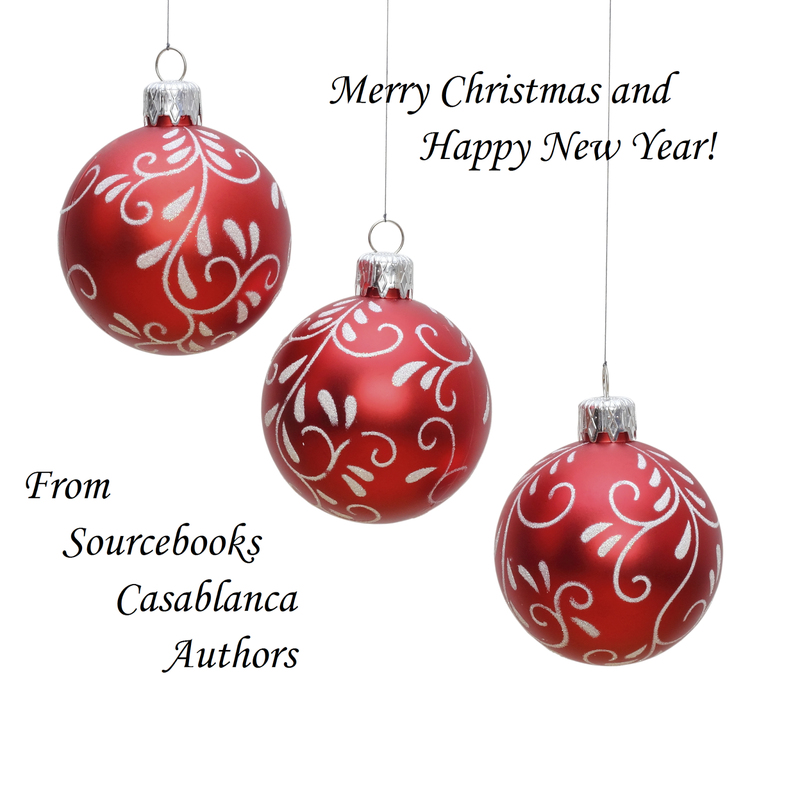 Wishing all of our readers a wonderful New Year! Merry Christmas and Happy New Year to all our wonderful readers! I hope your holidays are splendid! Happy Christmas!! Hope you all made the nice list! 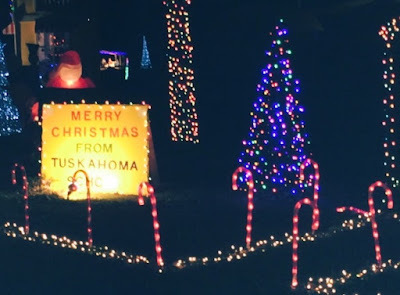 What fun it is to enjoy “Christmas in the Park” on the original Choctaw Nation Capitol grounds at Tuskahoma, Oklahoma, with all the colorful lights and inspirational displays that celebrate the season. For the nightly drive-through, enter at the main gate near the two-story Council House built in 1884 and follow the trail outlined by traffic cones and barriers along a path through brightly lit arches to leaping buffalo, glowing reindeer, gingerbread houses, and all manner of other holiday delights. 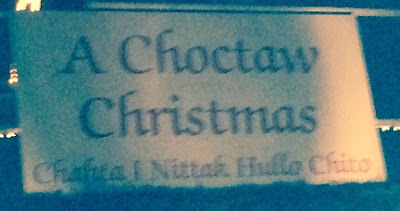 The Choctaw Nation Cultural Events program plans and installs the Christmas displays, but many other employees volunteer to make this seasonal light extravaganza a much anticipated success every year. 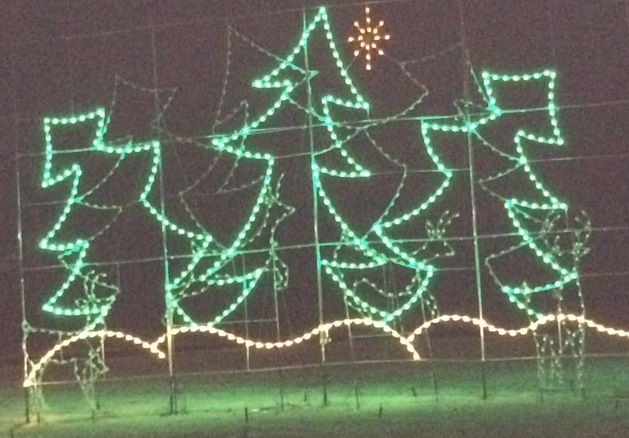 The tour is always free and open to the public from dusk to 9 p.m. through New Year’s Eve. Kim Redford is an acclaimed bestselling author of Western romance novels. She grew up in Texas with cowboys, cowgirls, horses, cattle, and rodeos for inspiration. She divides her time between homes in Texas and Oklahoma, where she’s a rescue cat wrangler and horseback rider—when she takes a break from her keyboard. Visit her at Kim Redford. 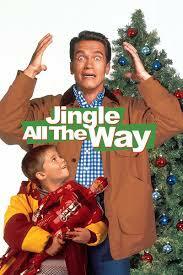 I don’t get nostalgic for very many things, but I make an exception for holiday movies. It’s probably because of my annual tradition of saving all my present-wrapping for the very last minute. For weeks, I ignore all holiday warning signs and realize, around today’s date, that I have about 10,000 presents to be sorted and wrapped. Hence my annual movie marathon. Although the assortment of movies changes year-to-year, you’ll almost always find some combination of my Christmas movie top four. I can pretty much recite this movie from start to finish (“These mashed potatoes are so creamy.”), and I always take a moment to pause when the newspaper boy bites it during his routine delivery. Even though I never, in my wildest dreams, pictured Bill Pullman as hero material, this movie is the ultimate rom-com and a thing I strive to achieve with every book I write. 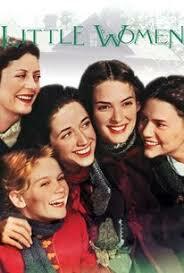 Little Women isn’t technically a Christmas movie, I know, but it starts with the March ladies celebrating the holidays, so I always tend to watch it this time of year. I’ve tried valiantly to get my daughter interested in watching it with me, but she hates all things historical romance. Waaaah! The tradition of watching this for the holidays started about ten years ago, when one of the movie channels (TMC or AMC or something) showed a Jewish-themed movie marathon on Christmas Day. 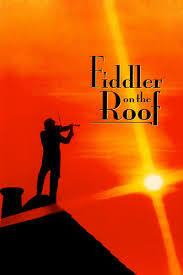 My in-laws had it on in the background, and as Fiddler on the Roof happens to be one of my favorite musicals of all time, we sat down and watched it. It’s now become a tradition for me, and I don’t feel complete until I’ve seen Tevye dancing about. I’m not going to say that Arnold Schwarzenegger quotes from this movie are the ringtone for my phone, but, um, Arnold Schwarzenegger quotes from this movie are the ringtone for my phone. ‘Nuff said. All I Want For Christmas…Is A Hot Scot! I love the confusion every year as I put the three pieces of our Christmas tree together and can NEVER remember which cord plugs in where to light up the whole tree. I love decorating the tree to beautiful Christmas music playing in the background—and by music I mean the tinkling of glass bulbs as they smash to the floor and the screeching of kids as they fight over the ornaments. I love the hours spent decorating sugar cookies when I’m determined to stay on my diet—and I can no longer lick the extra icing off my fingers. I love the seemingly, never-ending line-up to take pictures with Santa every year because once you start, you can never stop. I love shopping with my 5-year-old who wants to buy her dad things that are pretty, pink and sparkly—and then has a meltdown in the aisle when I say no. I love the continual running of my credit card through a machine that eats my money like a middle-aged, carb-addicted mommy eats through a bag of Oreo cookies (not that I’d know anything about that). I love the nail-breaking, finger-ripping work required to release the kids’ toys from their hermetically sealed plastic packaging that would make NASA proud. I love cooking Christmas dinner and worrying every year that the turkey’s undercooked, and I will wipe out my entire family in one fell swoop. I love putting the stuffing inside the turkey despite all the experts telling me not to and then worrying I’ll wipe out my entire family in a second fell swoop. And most of all, I just LOVE Christmas…for reals. 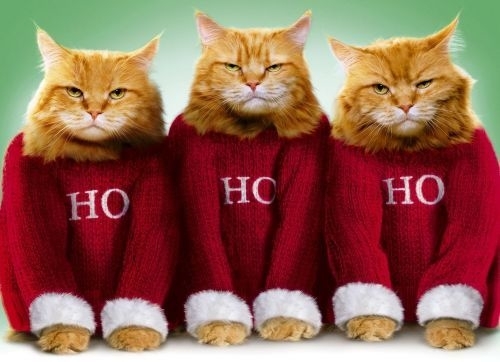 You've worked hard this holiday season! 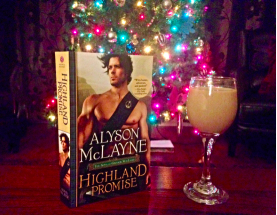 Pour yourself a drink and curl up on the couch with a Hot Scot—I'm thinking Darach MacKenzie from HIGHLAND PROMISE will do. Have a Merry Christmas, Happy Holidays, and an Amazing New Year! What's your favorite part of the holidays? I love all the baking! This seems to be the only time of year when I can get away with being a crazy cookie baker! 1. They are simple to make. (which saves a ton of time). 3. And the best part...There's a surprise inside each one! 36 candies--I use candied cherries, all flavors of Hershey kisses, caramels, and Andes mints. But you can use whatever you think sounds good. Beat butter, powdered sugar, and vanilla until fluffy. Add dry ingredients. Stir in oatmeal. Dough will be stiff. Shape a heaping teaspoon of dough around the candy to form a ball. Load them all onto an ungreased cookie sheet. Bake about 20 minutes. While warm roll them in powdered sugar. Then enjoy! Every cookie is a surprise! 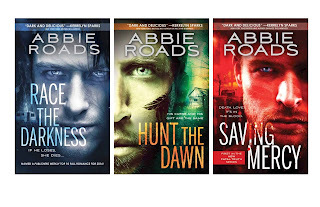 Abbie Roads writes dark emotional novels, but always gives her characters a happy ending... After torturing them for three hundred pages. Thanks to Annetta Sweetko and Mandy Owen for such beautiful reviews! I was excited when I read that author Terry Spear was starting a new paranormal series — White Wolf and couldn’t wait to get my hands on it. DREAMING OF A WHITE WOLF CHRISTMAS is everything fans expect in her books and much more. DREAMING OF A WHITE WOLF CHRISTMAS is book one in Terry Spear’s “White Wolf” series. For me, this book is reminiscent of and has much of what I love about, Terry Spear’s “Silver Town” series. Little does Clara Hart know that when a cute Arctic wolf pup bites her, that it would lead to finding love. When Clara and Owen Nottingham lock eyes, while in their wolf forms it’s kismet. Two years after Clara’s bite and that anonymous, yet enchanted encounter with Owen, fate brings the two of them together again. Although this is the first book in a spin-off series, readers might want to check out LEGEND OF THE WHITE WOLF. LEGEND OF THE WHITE WOLF is about Owen’s pack members Faith and Cameron. Off to create the print cover for My Highlander, if I can. Baby is here and running over me and the puppies in her walker. Cold water is scary. Really cold water with ice on top is extra scary. Once you’ve fallen through the ice, and the water has you in its grip, it quickly robs you of your ability to fight. In a few short minutes, it makes you clumsy and slow and sleepy and disorientated, until you can’t even try to save yourself. It’s a predator that makes you calmly accept your death. For as long as I could remember, one of my top fears—a break-out-in-a-cold-sweat-even-thinking-about-it fears—was getting trapped under the ice. The idea of pounding on an unbreakable frozen layer while not being able to breathe… That’s the stuff of nightmares. So why, exactly, was I standing on a frozen reservoir, just feet from a hole cut in the ice, preparing to jump into thirty-two-and-a-half-degree water? Sadly, I have a tendency to believe people when they say, “C’mon! This’ll be fun!” I’ve gotten suckered into countless chores (“Let’s all spring-clean the boarding stable. It’ll be fun! It won’t be an all-day hell of grime and drudgery.”), activities I should have avoided for my own safety (“Let’s leave the main, well-marked path and go on this narrow, rutted trail to nowhere. You won’t flip your ATV and escape injury only by flinging yourself off in an emergency dismount learned from riding horses. It’ll be fun!”), and hours of discomfort (“Want to volunteer to help with SWAT training? It’ll be fun! You’ll get stuck crouching in a dirty back bedroom surrounded by dead Asian beetles and rat traps because it’s the only spot in the house with enough cell reception to allow you to text with the negotiator.”) (Okay, oddly enough, that one really was fun). “Everyone in the water!” the chief bellowed. Want to read a story about ice rescue divers? Free Now at Amazon and iBooks! Ponder, Plot & Plan…and a Highland Conquest GIVEAWAY! Which was the problem, really, because in terms of my writing process, I’m what is called a plotter (as opposed to a pantster) and by the time I’d finished HIGHLAND BETRAYAL, book 3 in The Sons Of Gregor MacLeod series, I didn’t have time to plan book 4, HIGHLAND CAPTURE, before NaNo started. I begin by inserting scenes where they fit on the graph. The most important scenes are on the bottom row and they are called Turning Points—specific scenes that turn the story in a new direction. For example, in HIGHLAND CONQUEST (out February 6/18) the second turning point—called Change of Plans—is when my heroine, Amber, blackmails my hero, Lachlan, into becoming her clan’s new laird. This is after Lachlan invades her clan in an attempt to catch and kill the previous laird, who murdered Lachlan’s brother. The third Turning Point—called the Point of No Return—is when Amber is attacked by the villain and almost killed. 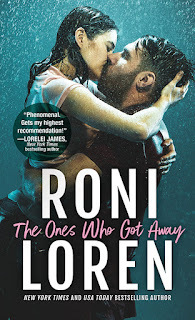 It happens at the midpoint of the book and increases the romantic stakes between the hero and heroine because of Amber's close call, as well as increases the danger stakes when the hunt for the villain intensifies. Often I start writing the story before I have my graph/outline complete, but I make sure I know the Turning Points. It’s like having a roadmap to your destination and each Turning Point in the story is a major turn on the drive—if you miss your exit, you’re going to meander aimlessly (and boringly) and never arrive at your Happily Ever After. But no need to worry, HIGHLAND CONQUEST will get you to your romantic destination on time! And if you want to find out how HIGHLAND CONQUEST ends, Goodreads is having a Giveaway!!! A Little Christmas Cheer and a Cover Reveal! WOLF HUNGER Releases Next Week!